Time for another review of My Keto Snack Box! 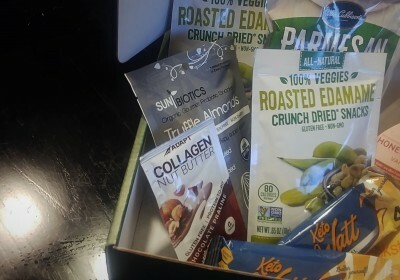 This is the newest keto subscription box in my rotation, so I’m still getting a feel for what to expect from it. So far, it seems to have more products and brands that are new to me compared to some other keto boxes. You can view past reviews here. Woo, ChocZero! 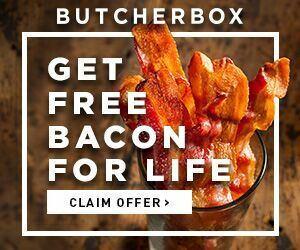 I’m always thrilled to get something from this brand in a keto subscription box. This particular product is one that I’ve had before, and I am definitely a fan. It’s a sugar free syrup that manages to be 1. low in net carbs, 2. thick and syrupy instead of watery, and 3. not packed with sugar alcohols! Most similar products are two out of three of those at best. On top of that, it’s tasty! It’s a nice topping for something like keto pancakes, but also great when added to your favorite keto dessert, shake, or coffee recipes. And because it’s thick and rich instead of thin and syrupy, a little seems to go a long way. There are a fair amount of protein bars out there, even some that are low carb, but not many that are specifically designed with the keto lifestyle in mind. Keto Watt is different because it is formulated to have a balance between fat and protein content that makes more sense for most keto-ers. It packs 16g of healthy fats from ingredients like almond butter, coconut oil, and chia. It also has some added antioxidant power, which a keto diet can be short on if you’re not carefully about getting in enough greens. The bar has a dark chocolate and coconut flavor, and a soft texture. I wouldn’t mind a tad more sweetness, but it’s still satisfying and filling! I have had other flavors of almonds from this brand before, but this flavor was new to me. It’s definitely better than their “cheesy” flavor, the previous savory option I tried and didn’t like. These are flavored with organic white truffle sea salt, which makes them just a bit more interesting to eat than plain salted almonds. They also have added probiotics, which are important for gut health and may be hard to get if you struggle to fit things like yogurt into your macros. Keto treats are fun, but it’s nice to get more basic snacks like this too. This was the second crispy/crunchy snack in the box. Although I have started eating more edamame since going keto (it now replaces rice as my side dish at my local hibachi place), I usually stick to having it steamed/cooked as a veggie side dish rather than roasted as a snack. It makes a surprisingly good snack though! This product was very simply seasoned with just salt, but it had a nice amount of crunch and the whole pouch only sets you back 80 calories and 2 net carbs. Rounding out the assortment of cripsy/crunchy keto snacks for the month, we got these parmesan crisps. I try to always keep some of these on hand because they make such a great snack as well as a topping for salads, soups, and more. I’ve tried a number of brands (including this one), though I don’t really have a strong favorite. These crisps are a little smaller than something like Cello Wisps, which makes them less suited for dipping, but they are still tasty and definitely keto friendly. This product has definitely been making the rounds in keto boxes lately, but it’s pretty darn tasty, so I’m not really complaining! Most chocolate hazelnut spreads I’ve tried (including the “original”) are too heavy on the hazelnut flavor and too light on the chocolate for my tastes. This is one of the few keto friendly Nutella-type products I’ve tried that doesn’t have that problem! The texture is super creamy, there’s a nice amount of chocolate flavor, and the hazelnut flavor isn’t overpowering. This is another little sweet treat in this month’s box, but with chocolate praline flavor instead of chocolate hazelnut. It also has a creamy texture and nicely balanced flavor, with healthy fats from coconut oil and MCTs and even some added collagen for hair, skin, nail, and joint health! This was a pretty good box for me, with some familiar favorites like the ChocZero syrup as well as some products that were newer to me. I felt like this month had a good balance between sweet and savory, and I like the effort to include more natural and “clean” snacks that have just a handful of ingredients. My only complaint is that the actual value of the products was a little low this month. I definitely felt like another product or even some bonus discounts would have helped to round things out.